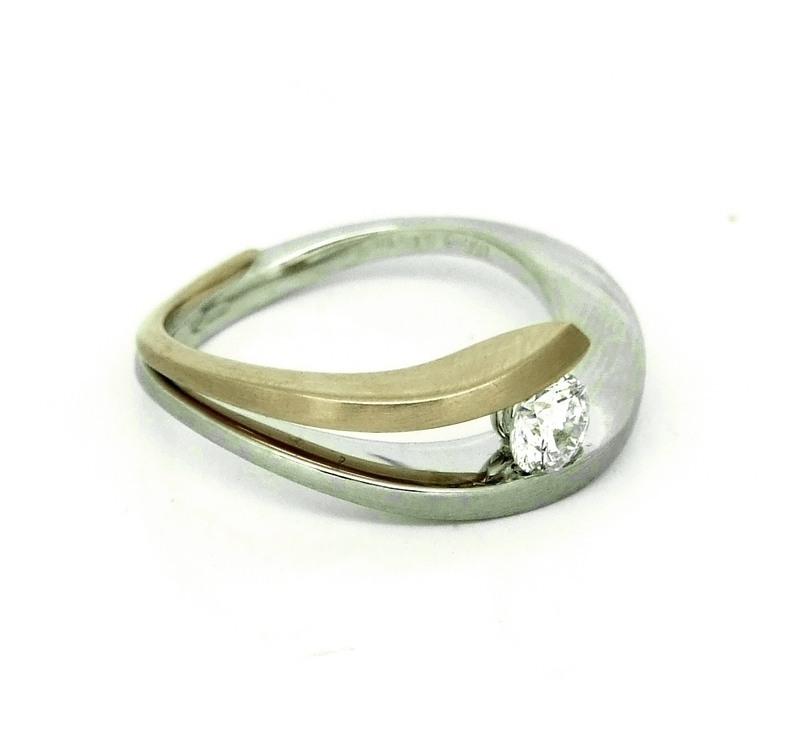 Stand out from the crowd in this unusual contemporary engagement ring. A solitary, brilliant cut diamond floats between a band of white gold and a wave of rose gold which sweeps around one side of this striking contemporary design. The combining of the two metals amplifies the magnificent sparkle of the diamond. 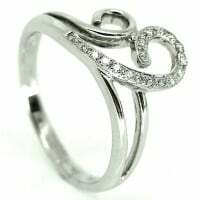 We think you'll agree, this is a ring to turn heads with!